Artcore is a creative provider of activities to diverse communities, many at the margins of society, with the aim of enhancing and inspiring lives and raising aspirations and ambitions of people of all ages who face multiple barriers. Our aim is to help them learn new skills, build confidence and reduce social isolation. Our activities are therapeutic for people and help them to keep healthy and active. 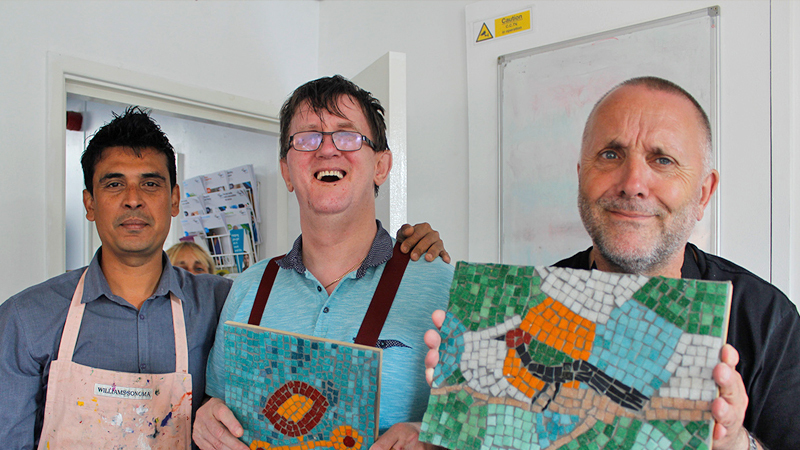 We work with various groups including people with learning difficulties, physical and mental health problems, stroke affected individuals and children and adults with special needs. 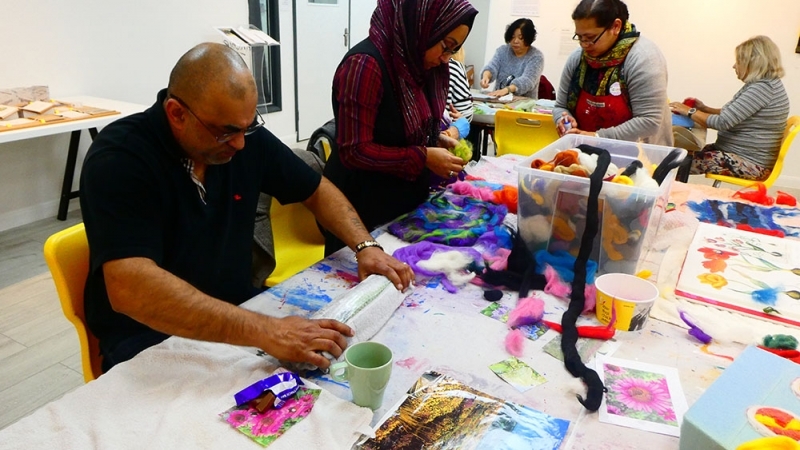 Our projects aim to provide a creative platform of expression supporting in reducing isolation by strengthening local networks and help people to live a full and varied life. The sessions all carry health and well-being messages. 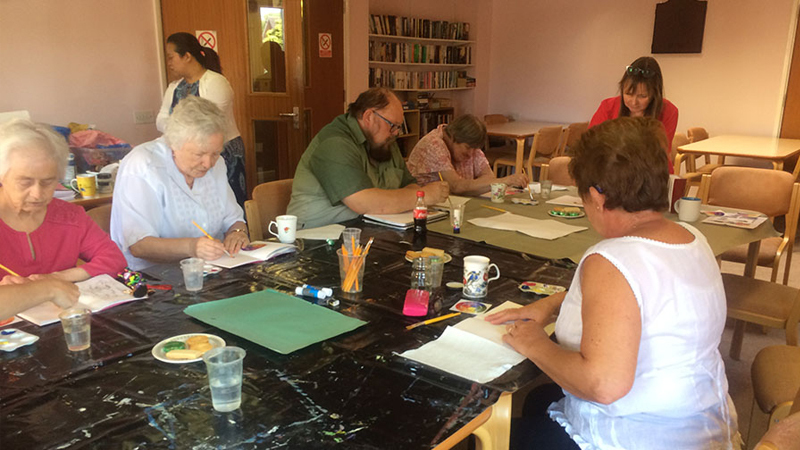 As well as giving community members the opportunity to explore a variety of art mediums and increase skills, whilst making friends, boosting self-conﬁdence, interacting with like-minded people and engage in constructive activity. Some of the recent projects include, Art for Life participatory activities, an exhibition, “DEHA (body) – A Celebration of life” by Arvind Suthar an artist from India, the Art T time project designed for people aged 50 and over with the aim to bring out the best in marginalised older people and to encourage different ethnicities to work together and socialise (funded by Awards for All).